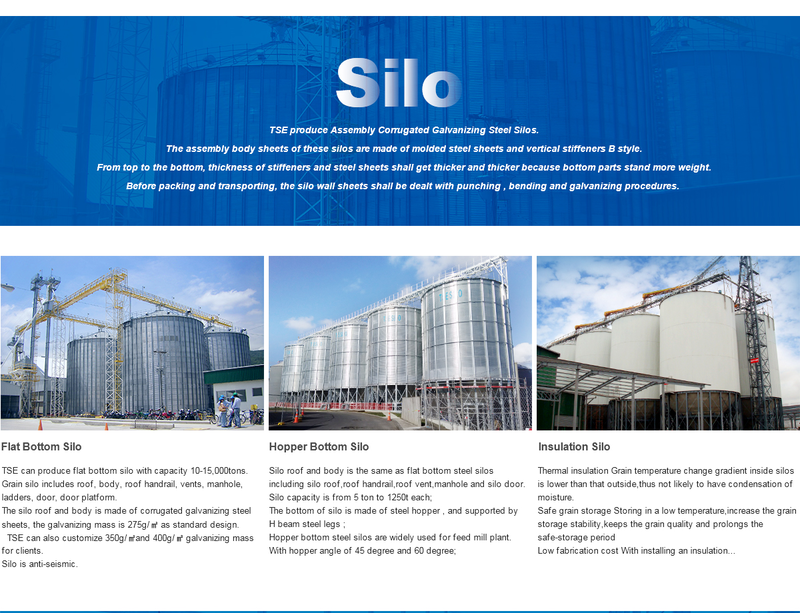 TSE IS VERY PROFESSIONAL COMPANY FOR GRAIN SILO STORAGE SYSTEM . 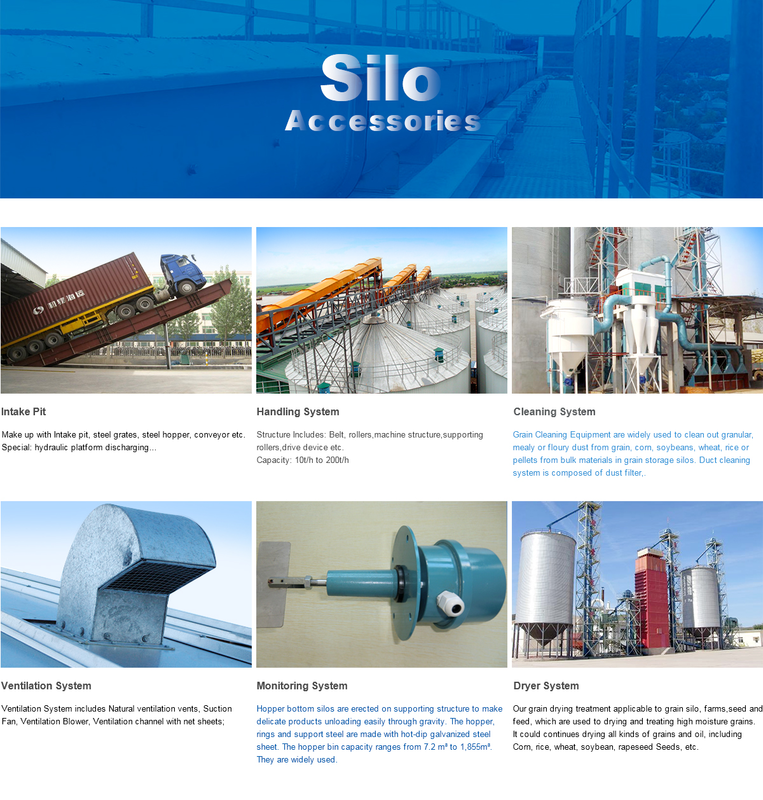 WE HAVE MORE THAN 13 YEARS OF SILO SYSTEM PRODUCTION EXPERIENCES. TSE ALWAYS PUT THE CUSTOMERS NEED ON THE TOP PROVIDING THE BEST SERVICES AND PRODUCTS.TSE TEAMWORK IS THE TOP LEVEL. 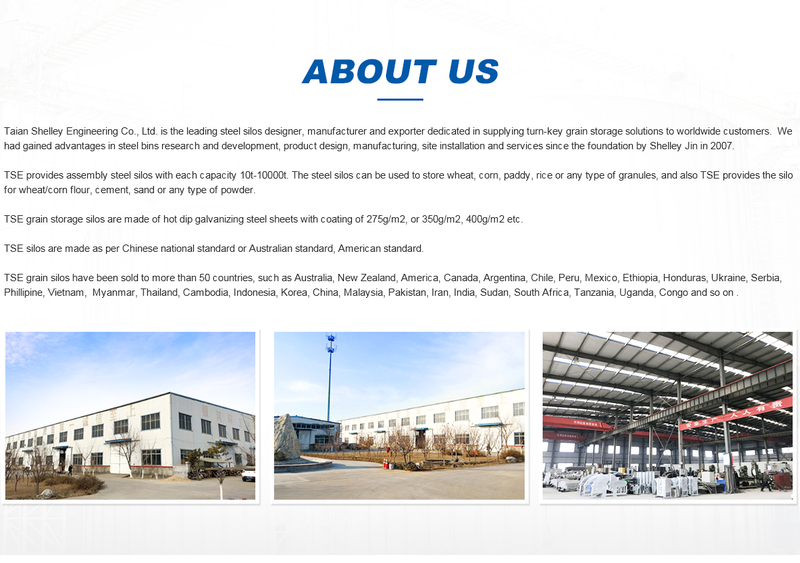 Shelley Engineering Co., Ltd. is a company professionally produce and sell grain storage silos. 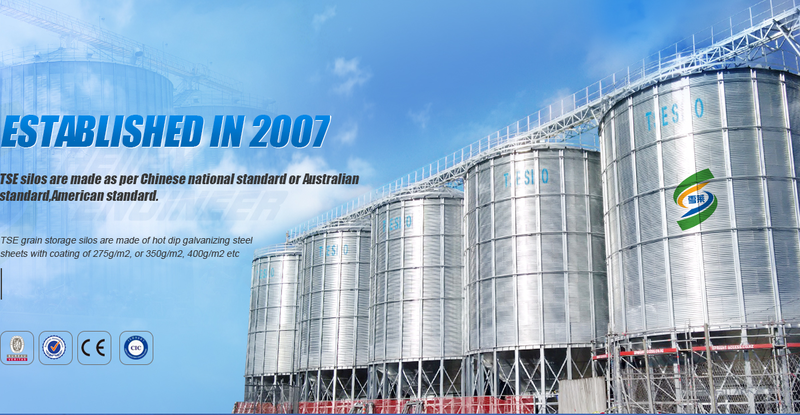 As the main supplier of steel farms and commercial storage bins and silos in China, we offer the most technologically advanced grain dryers in the industry and a large selection of material handling systems, including sweep augers, drying and cleaning systems, commercial bucket elevators and conveyors. Our clients come from mainland China, Ukraine, Poland, Australia, Argentina, Sudan, Vietnam, Korea, Thailand, Iran and Honduras. 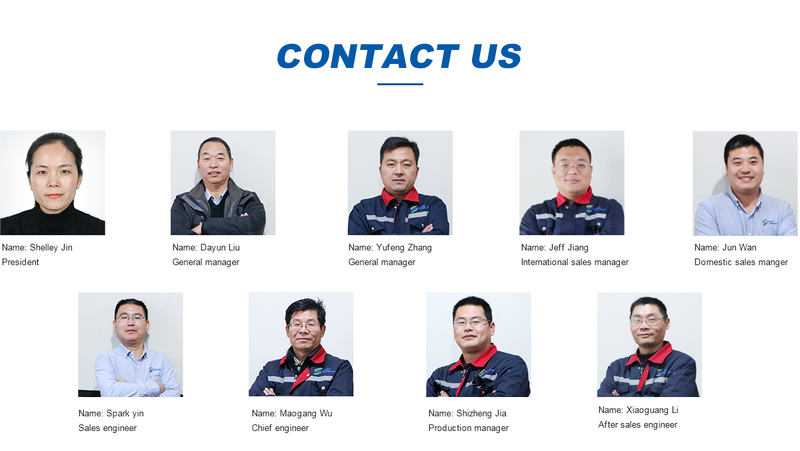 We welcome more and more clients to visit our factory. 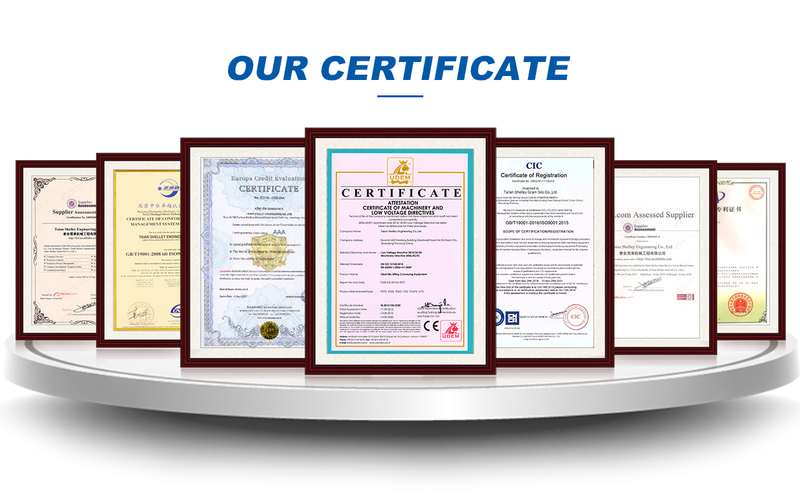 We research and develop a large number of new products every year. "Quality and reputation is the first" is our policy. We welcome friends from all over the world to cooperate with us for a prosperous future. Please feel free to contact us for further information.